We design custom Wedding & Family Albums, Wedding Stationary which include printed Invites, Programmes, Menu’s, Table Seatings etc. 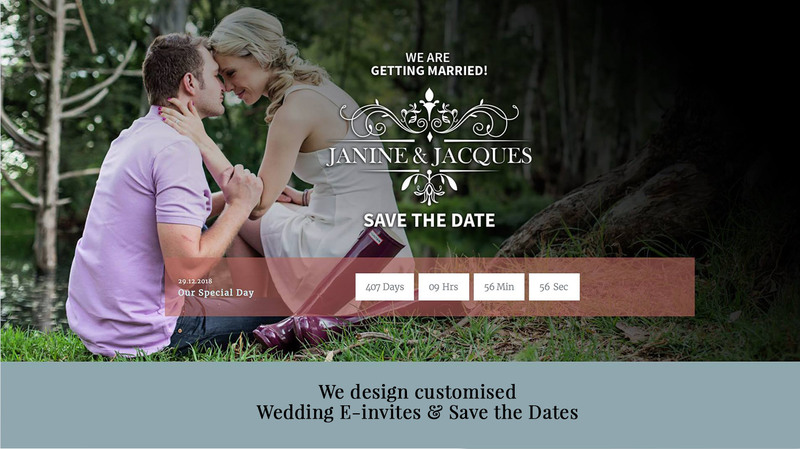 We are the market leaders in Wedding E-Invites if you choose to go the more modern route! Click here to read more about our Gold Package. This is our most popular package. Click here to read more about our Silver Package. This package is for the not-too-fussy bride. 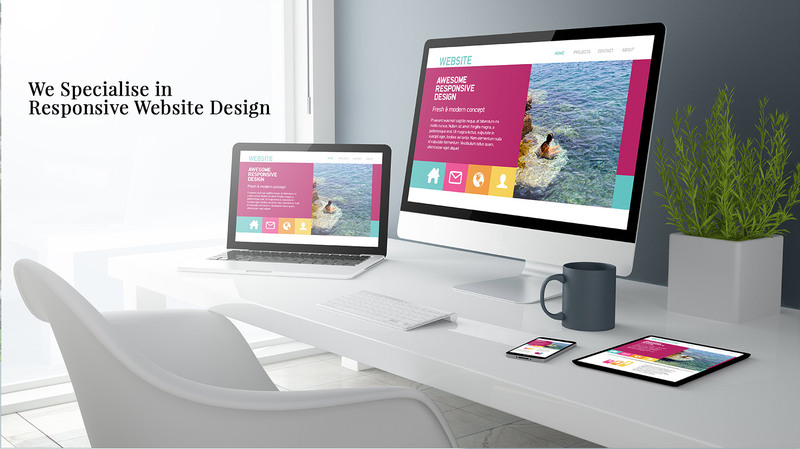 Responsive websites are designed to be viewed on all platforms and on all screen sizes. These type of sites adjust automatically to your Tablet, Smartphone, Laptop and Computer Screen. 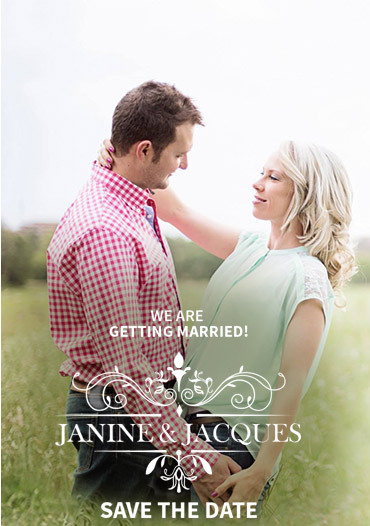 We design custom printables that you can purchase from us and we email it back to you in less than 24 hours! Other gifts include laser engraving and cutting on Wood, Leather, paper, perspex etc. 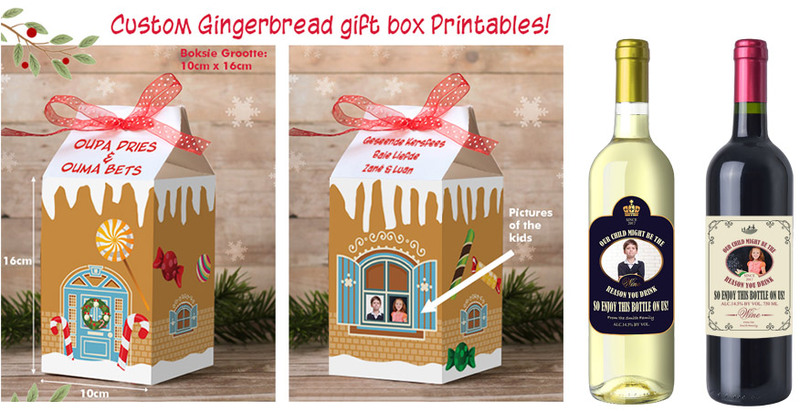 We design any gift boxes, wine labels, teacher chocolate posters, Tooth Fairy boxes etc. to suit your needs! Any custom requests are welcome! 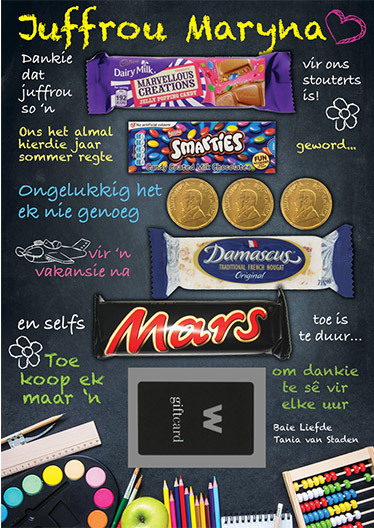 Dankie vir vinnige diens en oorspronklike idees! 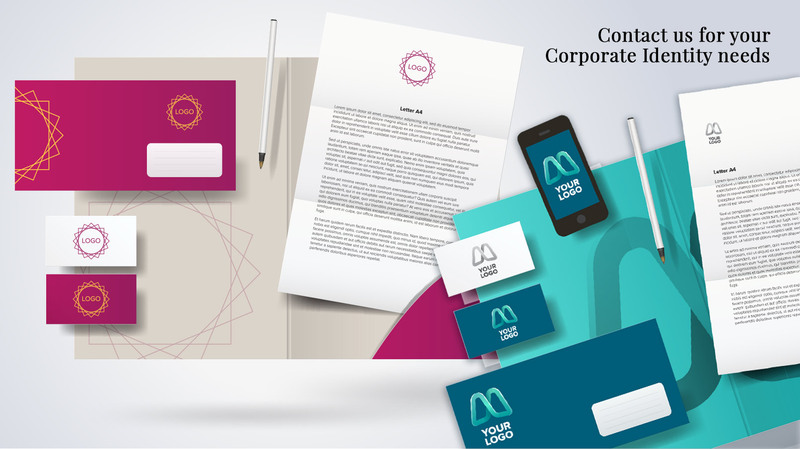 We design logos, Business Cards, Letterheads, Flyers, Brochures, Envelopes, Folders etc. Anything that your company may need! 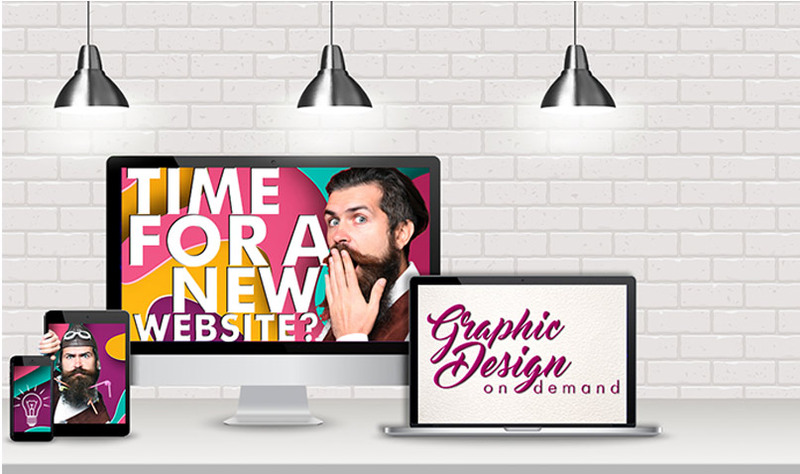 We design any Facebook collateral including cover images and GIF’s, help you with your Facebook post designs etc. Baie dankie vir jou vinnige en uitstekende diens. You can order these labels for a Teacher, Grandparents, or anyone you would like to gift a drink. 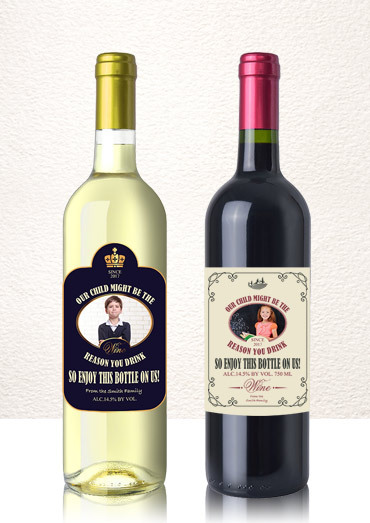 We can customise them for any other liquor products should you not prefer wine!